Dominica grows less than a metre high with attractive whitish hairy evergreen crinkled foliage. 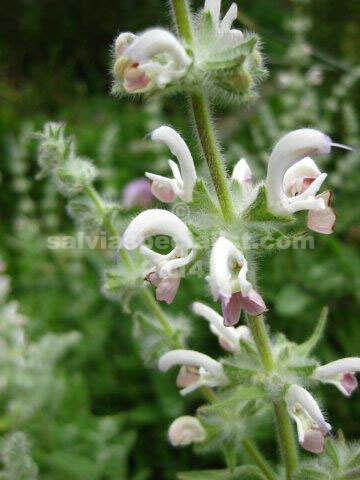 It is not a salvia which is often seen. It comes from around Israel way. The flowers in spring are subtle but pleasant. It is drought and cold tolerant. There might be one available if you ask but the site won’t accept the order at present.